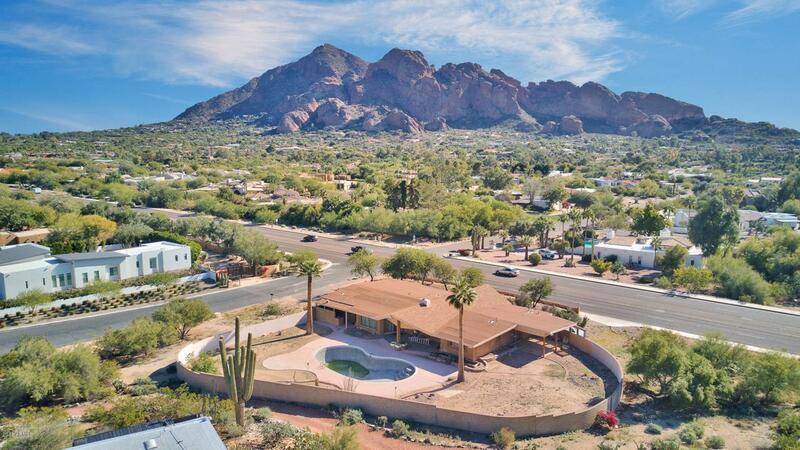 OVER AN ACRE IN PARADISE VALLEY! VIEWS of Camelback Mountain and Mummy Mountain. Great 4 bedroom, 4 bath home in the highly sought after Paradise Highland Estates is a great property for an investor or a home buyer. Features include upgraded laminate wood flooring, Travertine tile, Dual pane windows, Quartz countertop, crown molding, ceiling fans in every room, fireplace, and built-ins in family room. This is your opportunity to be in one of the best locations in the valley with so much opportunity and potential. HOME IS BEING SOLD AS-IS.